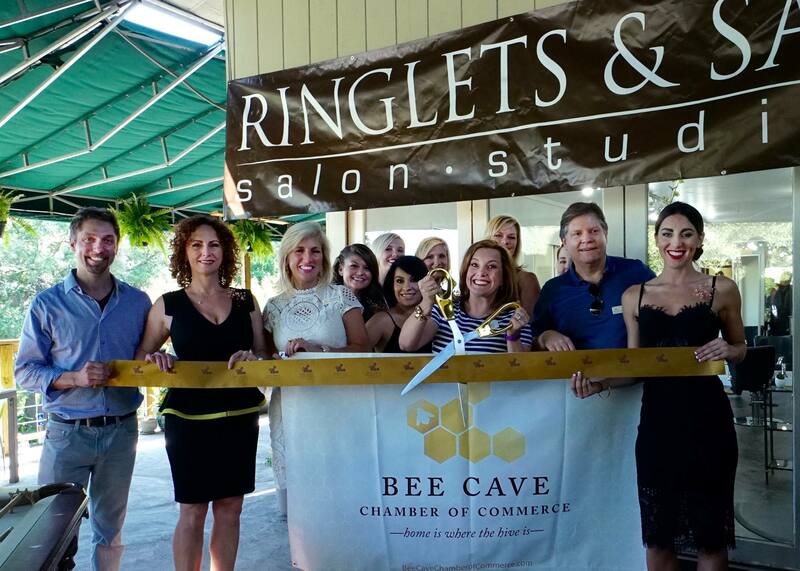 BEE CAVE, TX – May 6, 2016— Ringlets & Sass Salon Studios opened its new salon in the former Back Yard center on May 6, 2016, in Bee Cave, Texas. The salon was created to provide a dynamic, positive, welcoming, happy culture and environment for their staff and guests. The salon and location is one of a kind iconic site former home to a historic concert venue. The salon features a unique Hill Country glam atmosphere.